PPPRS, We’re coming for you! 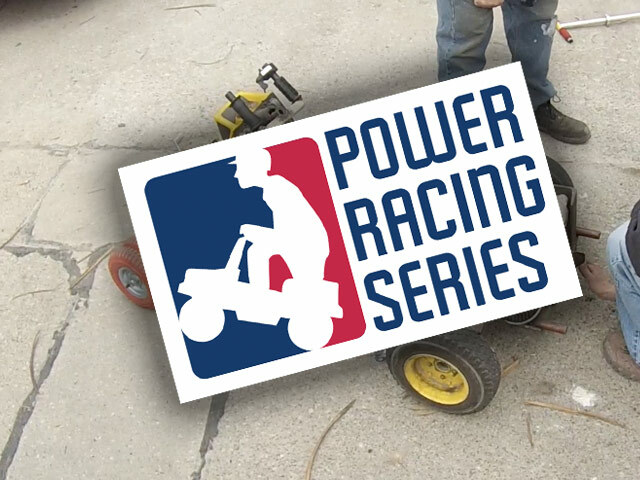 We’re just a few weeks out from Maker Faire Kansas City and the first official race of the season for the Power Racing Series. And for those of you that don’t know, the Power Racing Series (typically abbreviated to “PPPRS”) is a challenge to create a working electric vehicle for less than $500 using open source tools and tech. But we use Power Wheels Cars… yeah, the ones designed for little kids. We rebuild them to hold a full-size adult driver (some of us are even, uh “extra large” as it were) and the add in beefy motors, rechargeable batteries, motor controllers, brakes, sometimes trailer hitches and parachutes, and race ’em. We complete against other hackerspaces, like our friends at Pumping Station: One, Sector67, and i3Detroit. This entry was posted in car, Power Racing Series, power wheels, power wheels racing, Uncategorized and tagged powerwheels, ppprs, redlotus. Bookmark the permalink.